Have you ever had a presentation where at the end, you ask for questions and no one has any? What did you do? 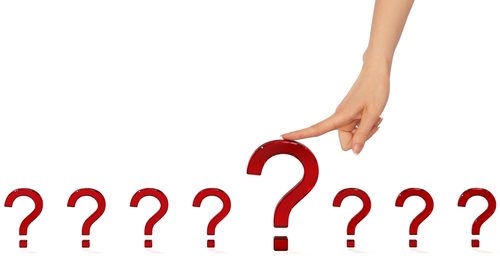 Did you say something like, “A question I often get is __________.” Be careful of doing so. The audience thinks you are done, they get ready to go and bang, you hold them there like hostages! Why aren’t they asking any questions? Maybe you don’t seem like you really want them. Although at times questions can be difficult, I love them because if they’re asking questions, they’re interested! Here are three things to consider if you want to encourage participation and questions, every time you speak. Watch your body language when you ask for questions. Be careful of closed posture, with arms crossed in front of your body. Keep posture open. Look at the audience in a warm, inviting way. Are you pausing afterward, giving the audience enough time to think about a question that they might like to ask? I suggest pausing and waiting for at least 10 seconds. It will seem like an eternity to you but if you wait that long, someone usually comes up with a question. If you follow these three guidelines and still have no one ask a question, thank the audience for coming and then end your talk. Let them know that you will be available, after the presentation, to answer any questions. This is one more tool, to add to your toolkit, to be a more inspirational communicator and leader! This entry was posted in Uncategorized on April 16, 2014 by Joanne. Are your meetings getting the results you want? How often have you walked out of a meeting thinking to yourself, “What a waste of time”? Have you ever felt like the people in this picture? Well, you’re not alone. Most people feel this way at least once a day. Knowing that we spend 75% of our working day in meetings, doesn’t it make sense not to waste people’s time and to make those meetings meaningful? The obvious answer is “yes”, but how do you do so? It’s easy. Open and close all of your meetings with an action. Tell people why they are there and what you need them to do with the information you are sharing. It doesn’t matter how obvious it is, you need to verbalize it. Also, whenever possible, if you can add what’s in it for them, if they do what you’re asking them to do, even better, now you have them motivated! Don’t waste people’s time in meetings giving them information without instruction on what to do with that information. If you can’t think of an action, then send the information in an email and save everyone some time! This entry was posted in Uncategorized on March 25, 2014 by Joanne. Ask an open-ended question. People love to speak about themselves and their work. Listen intently, repeat names aloud to help you remember them. Articulate your value proposition – what can you bring to the relationship? Practice ahead of time to ensure that you deliver a concise, yet compelling message. 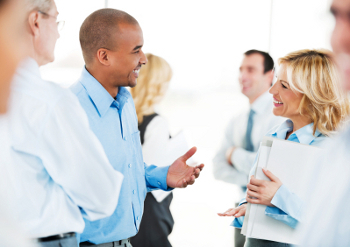 The ABC’s are a simple guideline to help you remember what to do when networking. Every time you meet someone in a business setting, you have an opportunity to win them over and make another connection. The more connections you have, the better chance of being successful. Make sure you take advantage of each and every opportunity by leaving a positive, lasting impression! This entry was posted in Uncategorized on March 5, 2014 by Joanne. Winston Churchill once said, there is nothing more powerful than the words following a long pause. Instead of feeling overwhelmed with the information being shared with us, we are now anticipating what will come next. Great speakers are masterful at painting pictures in our minds, using strategic pauses to keep us in suspense and give us time to think, reflect, and become inspired! 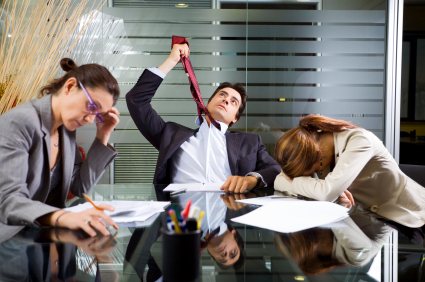 If pausing is so effective why is it so often overlooked, especially in business presentations? Three reasons. First, we try to cram too much information into a short timeframe and don’t have time to pause. Instead we should focus on three key points and leave everything else, that we might want to include, for the Q&A session. Second, we think pausing will make us look unprepared and unknowledgeable. This is false. When you pause at the end of a sentence, it is thoughtful. It is when you pause is in the middle of a sentence, you look lost. Lastly, we are afraid to pause because we don’t want to be interrupted and lose our train of thought. When you are confident and prepared, engaging with the audience is exciting and makes your talk more enjoyable for everyone! 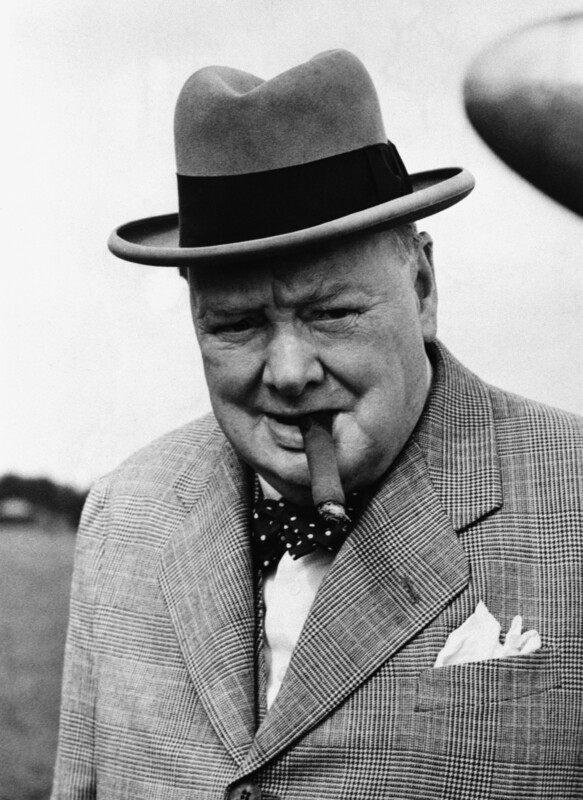 Winston Churchill also said that he spent one hour of time preparing for every minute he spoke. I realize that most busy, business leaders don’t have that luxury, but if the goal is to inspire and engage our audience, we should be prepared and confident enough to pause for effect. Now it is time for self-reflection. How effective are you at inspiring others? Are you leveraging the power of the pause? This entry was posted in Uncategorized on February 20, 2014 by Joanne. What is Executive Presence? What is the “it”? I believe that Executive Presence is all about confidence. When people have confidence, their body language and verbal language support it. They stand straight with their head held high. They look people in the eyes, when they speak to them. They use confident language avoiding words like, “maybe” and “hopefully”. They take pride in their appearance. They walk into a room and you notice them right away. You know what it looks like when you see it, but for most, it is difficult to describe. For me, Executive Presence = Confidence. You may be asking yourself, is confidence something that you’re born with or something that can be developed? Even though it may be easier for some than others, I believe that with the help of a good coach, it is something that anyone can achieve! This entry was posted in Uncategorized on February 10, 2014 by Joanne. My advice on public speaking? People always ask for my advice on public speaking. My answer is simple. Start with a strong point of view, and always speak from the heart. If you do these two things, you may not always get 100% agreement (hopefully you will get 99%), but you will always earn the respect of your listeners. There is nothing worse than speakers who change their position to placate their audiences. They come across as ungenuine, making us question their credibility. People gravitate to leaders who have conviction. Don’t be afraid to be bold and passionate when you speak. Smart, clinical, sterile presentations don’t inspire most people. It’s authentic stories, told with feeling, that do! This entry was posted in Uncategorized on January 31, 2014 by Joanne. Back in 2005, Brigadier General McMaster banned PowerPoint presentations at the US Pentagon, due to serious concerns that it stifles discussion, critical thinking and thoughtful decision making. He was fed up with complex slides and frustrated that they were being used to hide behind the critical conversations that should have been taking place – http://www.nytimes.com/2010/04/27/world/27powerpoint.html?_r=0. Yet here we are today, almost a decade later, and most organizations continue to taut PowerPoint as the language of business. Shouldn’t we know our material well enough to tell our story without using any slides? If we did, the tone of our message would be more conversational and believable. Our listeners might even perceive us as being more trustworthy and credible. In today’s business world, where leaders are increasingly tasked with being more transparent, isn’t this critical to our success? Is PowerPoint the enemy? I think not. PowerPoint has its place, but it is not the answer for all communication situations. When you have a critical message to deliver, where you need your listeners to be on board with a new change or a new direction, deliver the message without using slides. Tell a story. Paint a picture of the direction in which you are heading, with your words, and you will be much more likely to inspire others to join you on your journey! It’ll be much better than reading a bunch of bullet points! This entry was posted in Uncategorized on January 27, 2014 by Joanne. People will always be more committed to their own ideas than yours, so it’s important to help them believe, by taking them on a journey of discovery through story. Stories move us, engage us and inspire us! This entry was posted in Uncategorized on January 21, 2014 by Joanne. Passion is a catalyst for inspiration; do you have what it takes? It’s exciting and scary starting your own business after 20+ years of being a corporate employee. It’s exciting, because now I can focus all my time on doing what I really love to do – championing others to be truly inspirational leaders who communicate clearly, concisely and passionately. I have been doing this work for years and get so much gratification from seeing a change in others. Not only has it been personally fulfilling to me, but I know I’ve made a real difference to the thousands of individuals that I’ve worked with over the years. Believing in what you do and feeling passionate about it, is what’s getting me through the scary part. I challenge all of you. Do you love what you do? Is your passion contagious – inspiring those around you? It’s a new year, a time for new beginnings. If you love what you do, the inspiration part is much easier! Happy New Year!